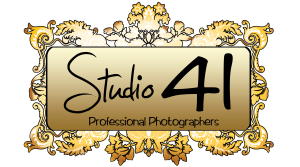 Studio41 is one of the largest studio in Yorkshire and we photograph lots of families throughout the year. I am based in the sunny seaside town of Scarborough. I have a state of the art modern studio and offer a full range of photography services. I have years of experience and will help put you at ease and think of creative ways to capture the perfect portraits for you and your family. There is only a £15 sitting fee and with the sitting you will receive a Free 8″x6″ photograph. The session will last up to an hour and half to fit all the different family groups and styles into the session. You are more then welcome to bring along a change of clothes plus some props and toys. I will creatively suggest ways of enhancing the mood of your picture with using one of the many different styles which I think will suit you, your family, and the way you want to capture that special memory. After your photographic session at Studio41 you will be able to sit in the comfort of the preview room and view all your images on a 40″ TV. There you will be shown the different possibilities for your images whether it be large framed prints to a canvas. The Studio 41 experience is so much more than a standard photo shoot. We go the extra mile every step of the way to guarantee that you get a unique and beautiful portrait that really tells your story. As a professional photographer specializing in many types of photographic work, I strives to create modern, creative and original photographs to ensure that clients have photos to cherish forever. I will help you every step of the way to help create that unique photograph you want. Whether it is of your family, your special day or a family pet.